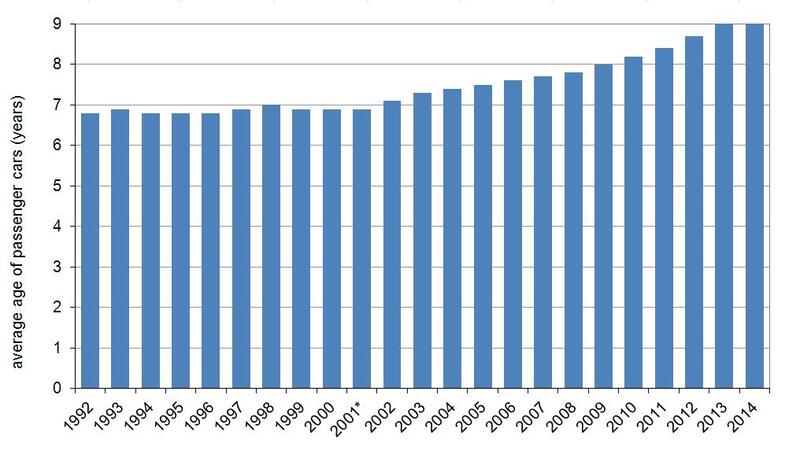 The average age of passengers cars in Slovenia increased from 6.8 years in 1992 to 9.4 years in 2014. 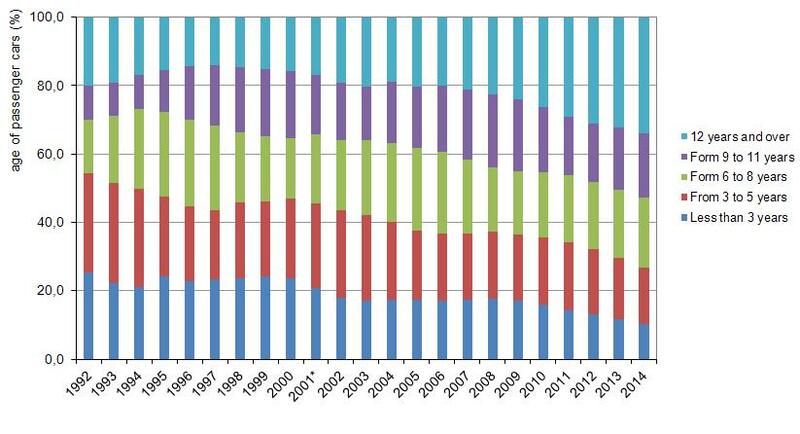 During this period, the average age of passenger cars in European countries declined. 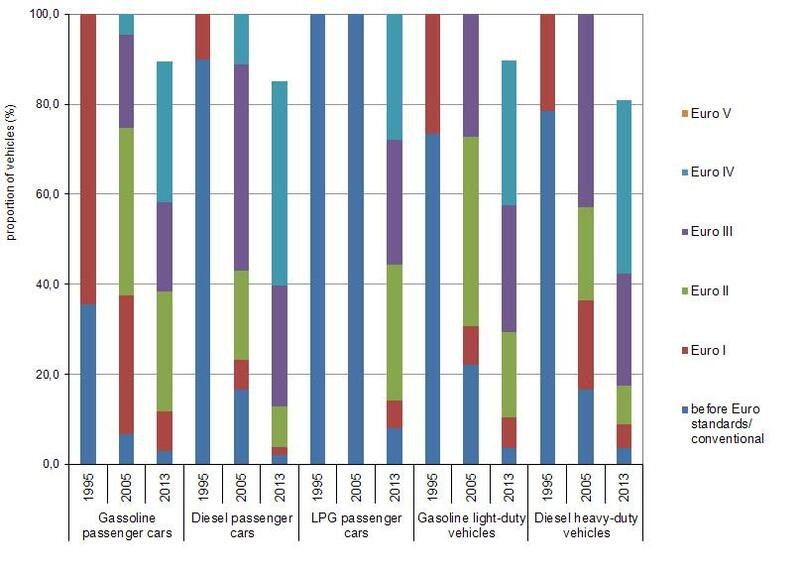 This means that new technologies are introduced gradually and that the vehicle fleet is mostly less environmentally-friendly.The period of time needed for a new technology to penetrate the vehicle fleet in the EEA is quicker for diesel than for petrol cars. 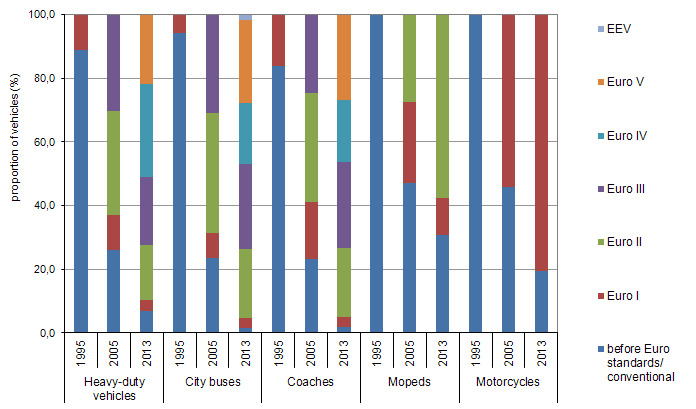 Penetration of new technology is highest for city buses in Slovenia. The indicator shows the average age of passenger cars for the period 1992-2014 and proportion of passenger cars by age for the period 1992-2014 in Slovenia. 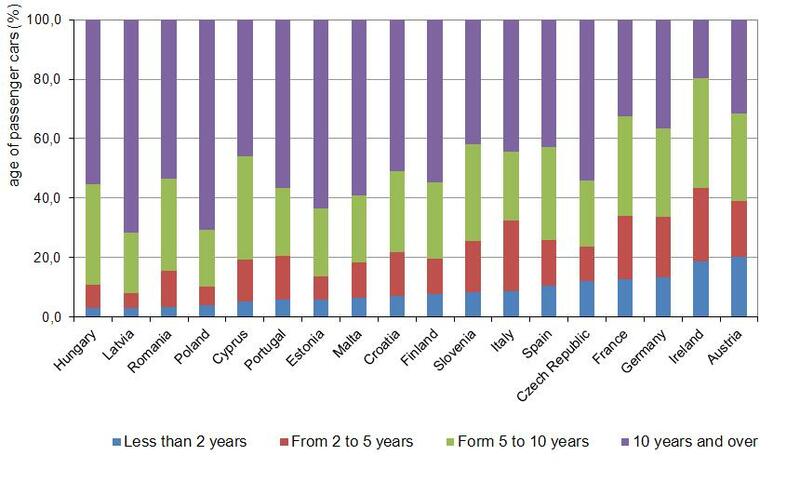 The proportion of passenger cars by age for selected European countries is shown for 2012. The environmental and safety standards of vehicles are constantly improving; therefore, the new vehicles are on average less polluting, generate less noise, consume less fuel and better protect the users against accidents. The indicator of average age of passenger cars indirectly expresses their environmental efficiency.